I was a minute late for work this morning because I had a hard time opening a stuck sliding door in order to get out my ice scraper. Tonight it’s supposed to get down into the single digits and I don’t want a repeat of this tomorrow. 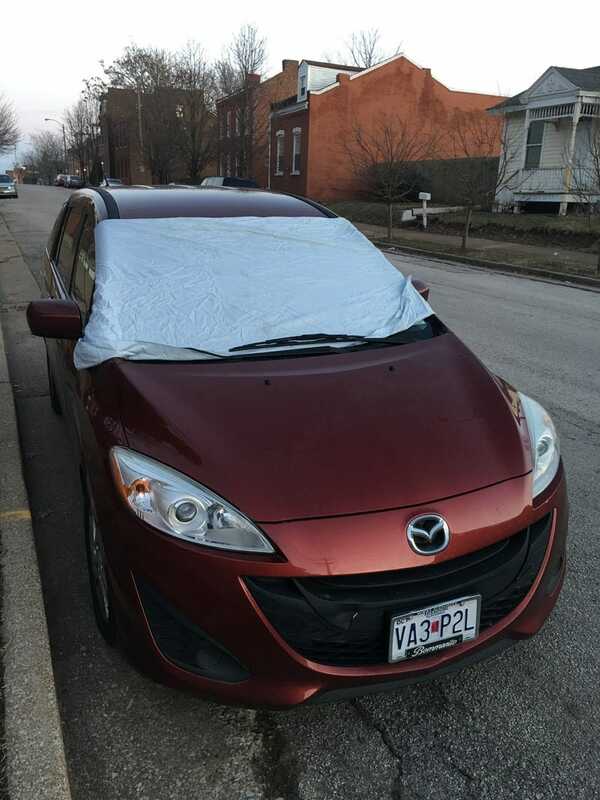 I usually put up the sheet for freezing rain, but it should help with the frost.